Speaking with the Official PlayStation Magazine (September 2018, issue 152), Gunfire Games co-founder David Adams (previously general manager of Vigil Games on the first two Darksiders titles) revealed more information on Darksiders III, the third installment due to be available on November 27th for PC, PlayStation 4 and Xbox One. 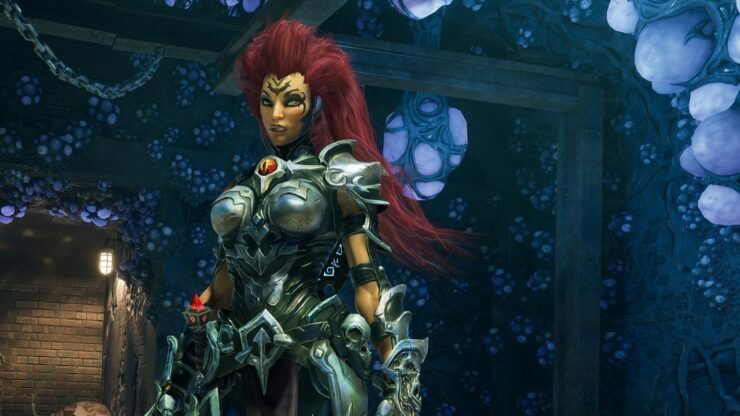 Adams said that players won’t be bombarded by the story in Darksiders III, hinting that there will be a focus on gameplay instead. He also addressed the complaints made by fans against the previous installment, Darksiders II, and its newly introduced RPG mechanics. Darksiders is and has always been a videogame. There’s still cool cutscenes and we have scenes around all of the Sins, and cool key story moments, but you’re not being bombarded by story – you’re running around fighting stuff and solving puzzles. That was a purposeful decision. When Darksiders II came out people were like, ‘What’s all this RPG crap doing in my Darksiders game?’ You’ve got to take some risks or else the games become stale. But you’ve got to walk the line between risk and not completely betraying what makes the franchise what it is. Later in the interview, David Adams revealed that Darksiders III features a built-in mechanic to match the world with the player’s power as it grows during the game. Here’s how it works. Take them at your pace. Every time you kill a Sin it levels the world up; your power curve begins to grow away from the world, then you kill a Sin and it resets to match you. We’ll have the chance to check out Darksiders III at Gamescom 2018 as part of our press tour. It won’t be the only title by Gunfire Games to be featured at the convention, anyway, as we’ll also be able to take a look at Remnant: From the Ashes, announced a few weeks ago.